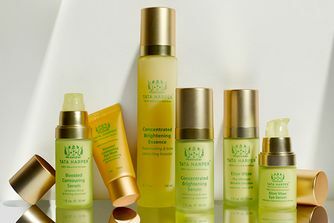 The undisputed 'Queen of Green', Tata Harper's super-natural skin care has bewitched beauty editors, award panellists (it's scored hordes of coveted 'Best in Beauty' awards) and countless Cult Beauty devotees. The ultimate weapon against any skin imperfection, this gloriously green mask restores the balance of the skin to keep it looking healthy and clear. Granting an enzymatic peel effect, this treatment helps to address breakouts, redness and excess sebum without drying or irritating the skin. When a mask is this green, you just know it’s going to do good. 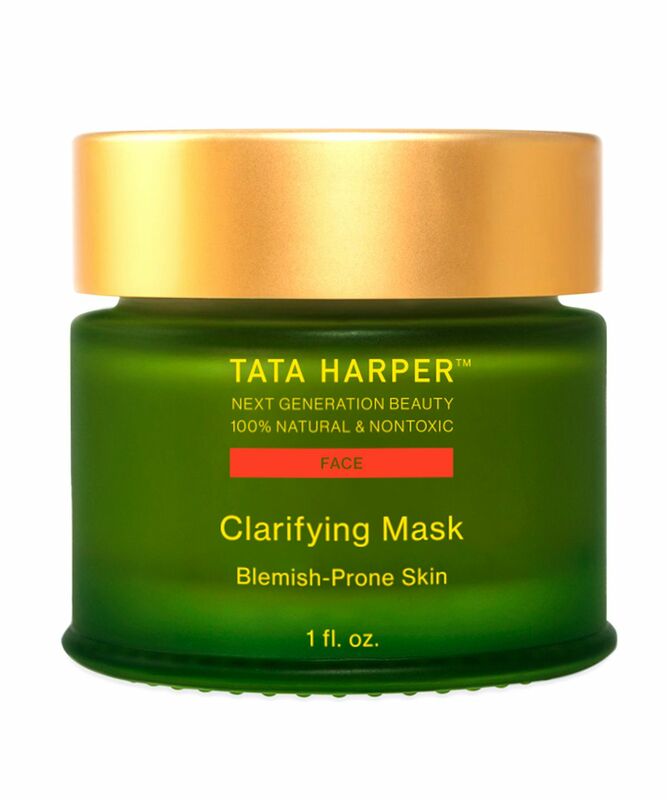 The newest addition to the brand’s collection of covetable complexion-clearing treatments, Tata Harper’s Clarifying Mask promises to balance sebum (thus controlling excess oiliness), while calming the skin and relieving redness. 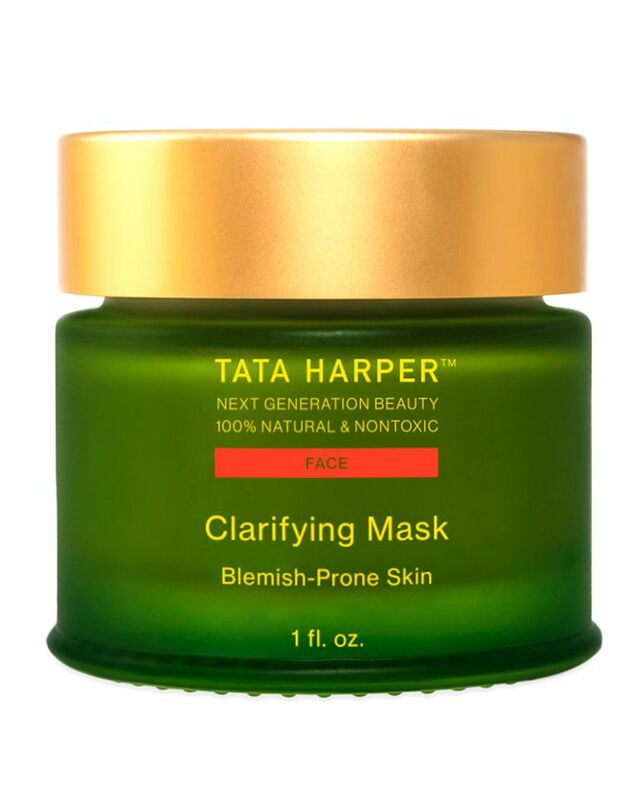 Its chock full of all the super-natural skin care ingredients we’ve come to expect from Tata Harper – there’s a salicylic acid trio to minimise the appearance of blemishes, plus a superfruit blend to refine pesky pores and quartz sand micro-crystals to gently exfoliate and soften skin. 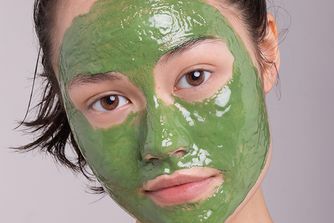 Topped off with chlorella (a blue-green algae similar to its cousin, spirulina), the mask hydrates with essential vitamins and fatty acids to ensure that your skin is cool, calm and collected – whatever comes its way. Apply a thick layer over the face and neck. Leave for 15 to 20 minutes. Massage the skin with warm water to gently exfoliate before thoroughly rinsing. SUNBURN ALERT: This product contains an alpha hydroxy acid (AHA) that may increase your skin’s sensitivity to the sun and particularly the possibility of sunburn. Use a sunscreen, wear protective clothes, and limit sun exposure after using this product for a week afterwards. It does clean the pores, but I ended up only using it on my nose because it’s way too harsh for other areas, it strips all the oil (I’m normal to combination skin) and tightens your skin in a way acid peels do. Can dry your skin out and cause peeling. Also like the previous reviewers said it may break you out even though I’m not blemish prone. But this gave me few break outs when I used it all over my face. Don’t use it if you have couperose prone skin, this mask can make it worse. Overall it’s a questionable product, too many cons for a £60 mask. There are many other acid masks that do the same and are much cheaper. Try Clarifying or Resurfacing mask instead. I had felt in love with clarfying cleanser and bought this mask without doubt. But at this time i could not fall in love....it is good, after you linse off you would feel your skin is very soft and comfort. But that’s all and unsatisfying than my expectation for pricey clarifying mask. Now, I will start off by saying the texture of this is not like the other masks in the range. Where as I am used to the jelly like texture of the resurfacing mask, and creaminess of the purifying mask, this quite literally is honey (obvious when I then read the first ingredient). The results however speak for themselves, smooth, clear and revived skin. Anyone who knows and loves Tata's range will be used to the exceptional list of ingredients and this is no different. I love this mask. Love Tata Harper's products (esp the purifying cleanser!) but this one didn't work out for me. Instead of addressing breakouts and redness, this super pricey mask broke me out. It could be that it's too strong for my combination dehydrated acne-prone skin? I'm not sure why but I really wanted to love this...will not repurchase.